For Chantel, the Blues came calling first, but rock was always waiting around the corner. Well it would be, wouldn’t it? Coming from the deep south, it was inevitable, but living in the deep south of a major Yorkshire City, there’s a gritty hard edge to life! A female guitar prodigy, at fourteen Chantel was told by major labels that she had a "great voice, but girls don't play guitar like that". Wisely, ignoring the comments, she went to Leeds College of Music and became the first student in the college’s history to achieve a 100% pass mark, with 18 distinctions. Chantel left with a First Class Honours degree in Popular Music and a coveted prize, for outstanding musicianship. Chantel’s follow up album, 'Lose Control', was released in October 2015 to critical acclaim and she is now writing for her third album and you will be able to hear some of the new tracks at this gig. 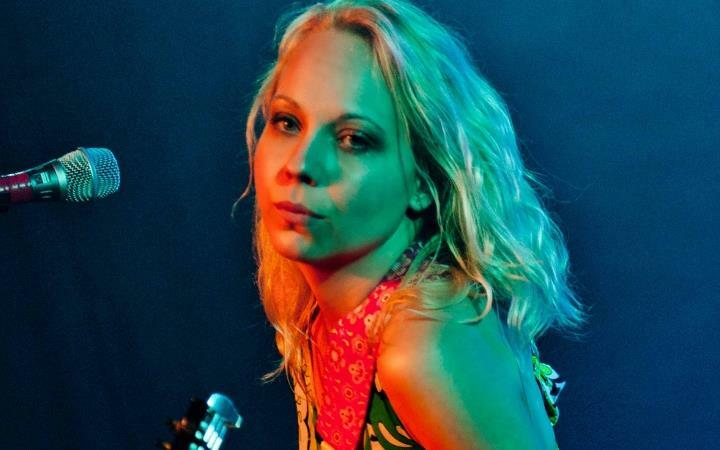 She has performed with Joe Bonamassa and has twice been voted Guitarist of the Year by the British Blues Awards. She has also previously been voted Young Artist of the Year and Female Vocalist of the Year. This event is promoted by The Apex.